This blog post is sponsored by Blue Diamond Almond Breeze®. The content and opinions expressed here are all mine! It’s that time of year again where nothing sounds better after a hot run than a cold and creamy smoothie. Our body will thank us during our next runs/races if we make sure to get in the necessary quality nutrients that will refuel and replenish us right after we finish a workout. A smoothie is my favorite way to get these nutrients! Here is the recipe that my entire family is loving right now. 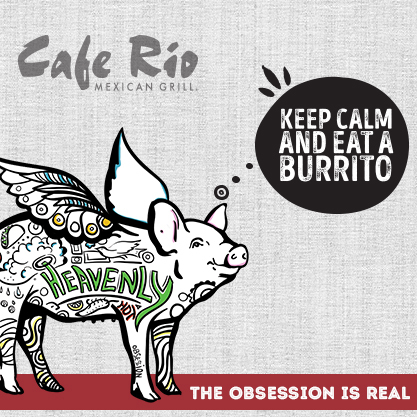 It is the best because it works perfectly for my post-run meal. 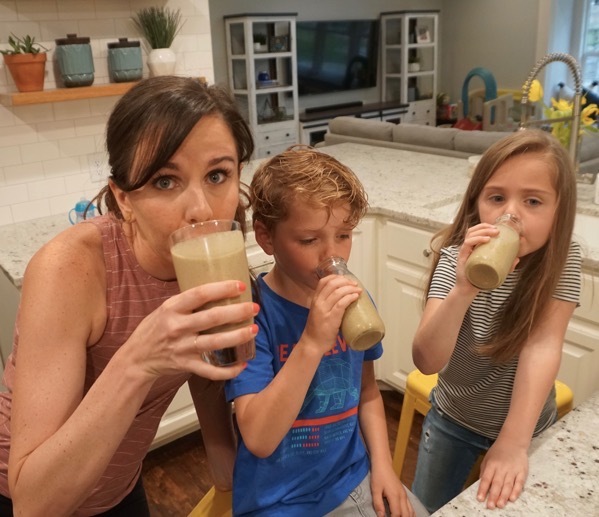 And because Almond Breeze is such a great source of calcium and vitamins D&E I feel good about serving it as a nutritious breakfast choice for the kids before school. 1 cup of Blue Diamond Almond Breeze—> We like to switch it up between Almond Breeze Almondmilk Blended with Real Bananas, Almond Breeze Unsweetened Chocolate Almondmilk and Almond Breeze Unsweetened Original Almondmilk (shelf stable or refrigerated)! Add some ice if you want to thicken it up! I usually double or triple the recipe when the kids are drinking this with me! 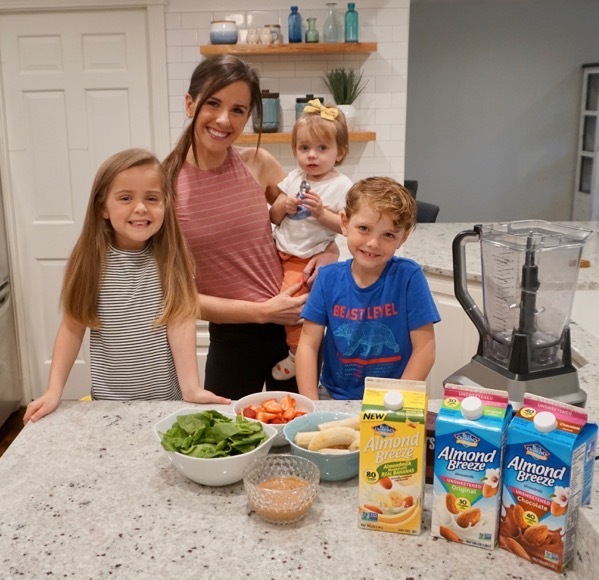 Almond Breeze Almondmilk makes all of my smoothies so creamy… I’ve even made it at night a few times for my dessert too. I love Almond Breeze Almondmilk because it tastes amazing on its own (if you haven’t tried its unsweetened chocolate then I’m going to need you to do that right now!) or in everything from soups to cereal to any recipe that calls for dairy – it’s an exact 1:1 swap. Almond Breeze isn’t just a simple swap, it also makes an awesome upgrade to whatever you are making. 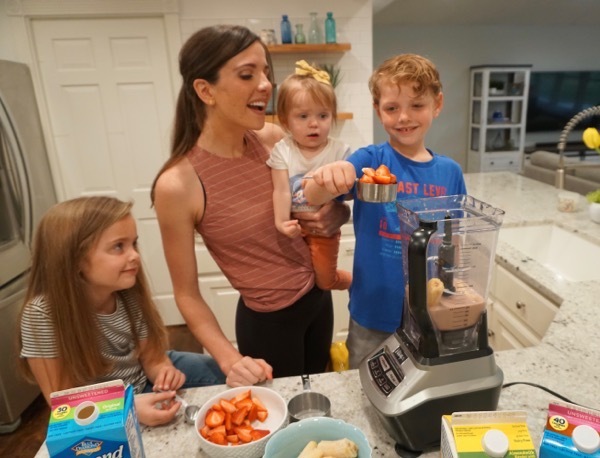 Brooke and Knox are big fans of helping and making sure that everyone gets an equal amount of turns putting ingredients into the blender. Skye’s body language in the picture below is communicating to me, “Step away from my sippy cup of goodness. 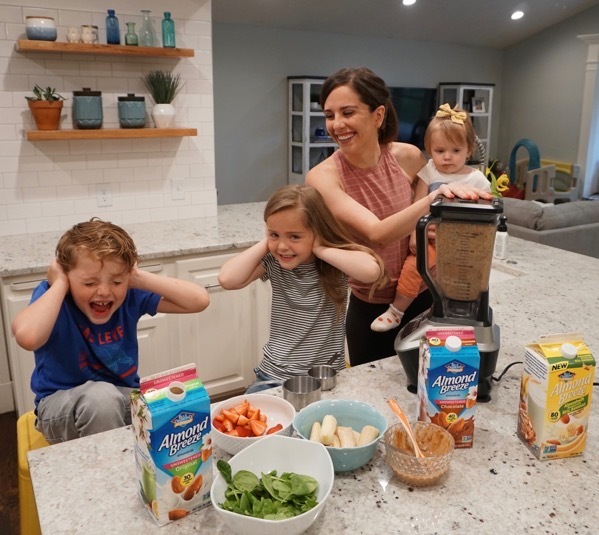 This is ALL mine.” We are huge fans of the hint of almond taste in our smoothies that we get from Almond Breeze Almondmilk. I have a little more Boston talk before I let you go today! The other night in bed I was trying to remember everything I could from my previous Boston experience in 2015 that I could use on race day next week! I don’t remember a ton from the race (#rain&wind&freezing) but there are a few things that I remember and will never forget! I would love to have anyone that has run Boston before share their tips in the comments too! *Run without music! I might bring my AirPods to listen to music for a few miles but overall I won’t be listening to music because I just want to take in all of the people, the history, the sights and the feelings! *Read this article to get a mile by mile course guide with everything you need to know about each mile, each aid station and all of the landmarks that you are going to see along the way. *Write your name on your bib if you want spectators calling out your name and cheering for you throughout the race. I thought it was really fun to have people cheering for me throughout! *Go out slow and then go even a little slower! I think one of the reasons I love the St. George Marathon course is because the hard stuff is all out of the way in the first 20 miles and then the last 10k is a slight downhill and you can just cruise. The Boston course includes a lot of downhill in the first half and then in the second half you get some nice hills to climb. If you go too fast in the first half your legs might explode in the second half. I’m going to run this race for fun without a time goal but that still means I need to be very cautious in the beginning to hold back even with all that is going on in the beginning. *Enjoy tax day when April 15th is normally a very stressful day (for me at least ha)! *Don’t forget, when you start to hurt—> that is when the race begins. You signed up for this, you worked so hard to be there, you are healthy and able to do this and cheer (literally) for yourself. Self-criticism is not going to take you anywhere but telling yourself that you are doing amazing, that you are strong and you have SO much gas left in the tank will do everything for you. Smile when you hurt and that will help you to hurt a whole lot less. *Wear your race medal for the entire week after you finish and only take it off to shower and to sleep. 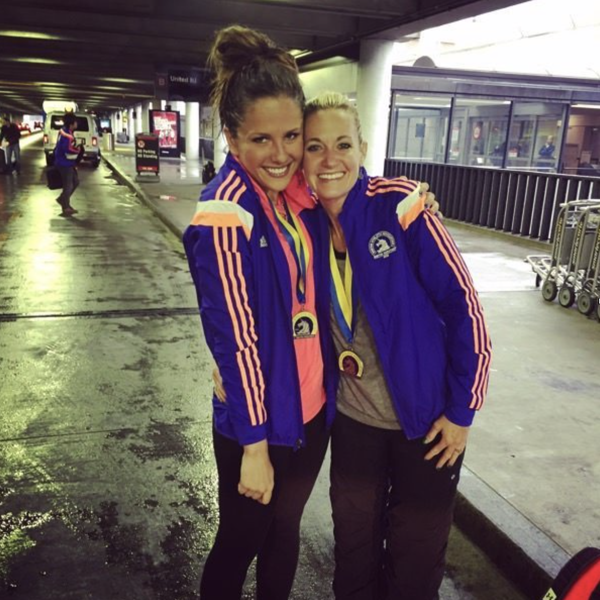 If you are going to be at the Boston Marathon either running or cheering I would LOVE to meet you so please say hi! 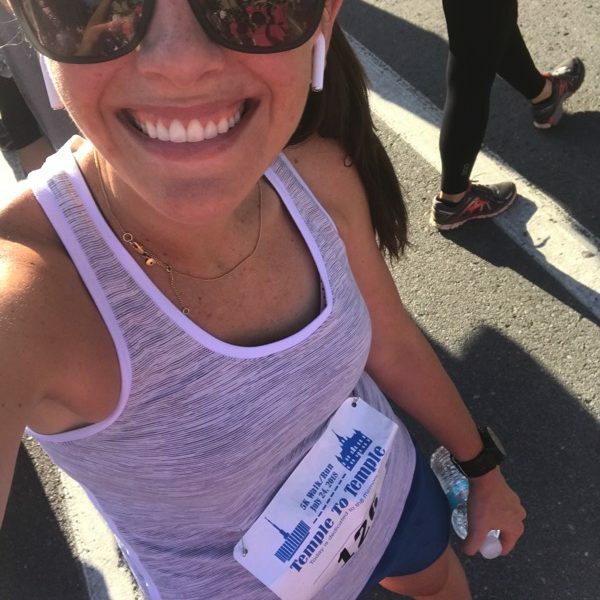 Any tips that you can share to help anyone running Boston on Monday?! Ever cried at the finish line (or along the way of a big race)? How often do you make/drink smoothies? What are your favorite key ingredients for them? How quickly after a run/workout do you usually eat/drink something? -Rewind years ago and I did not eat for hours after a run which ended in injury after injury. Now I make sure to eat/drink something within about 20 minutes of finishing a run or workout. Girl, I didn’t just cry at the finish. I cried the ENTIRE race because I was so cold (hypothermic!) and miserable. hahahaha. Definitely something I’ll never forget! Super glad I didn’t quit though, because that medal means so much more, even if it was my slowest time EVER. Have so much fun!!!! The smoothie looks amazing! Oh Mollie… I bet you did. I cannot even imagine! YOU ARE SO SO TOUGH. Thank you SO much for these tips, I am absolutely going to bring an extra pair (6 inches of mud and it was so so cold for you). Such a good idea about the portable throwaway phone charger… I never would have thought of that. Buying today. Thanks Mollie and what is next for you?!? The other best thing to remember is to look around you at all the people who are in the exact same boat as you. A smile can go a long way and you’re all in it together! Also, a full on set of warm dry clothes in your gear drop bag is a life saver. May be obvious, but get out of every single wet/cold item as quickly as possible! I was still totally shocked about how many spectators were out in the weather last year. The people of Boston are dedicated cheerers, so use that to energize you too! Have so much fun!! You guys are so so smart… I will definitely bring an extra pair of shoes. That is the outfit I am planning on wearing too but maybe a rain jacket too?! OH I LOVE what you said… a smile really can go a long way together. Time to work together! I didn’t think of that… I’ll have andrew bring really warm clothes after. Thank you SO SO much for the help and I hope you have a wonderful day Stephanie! 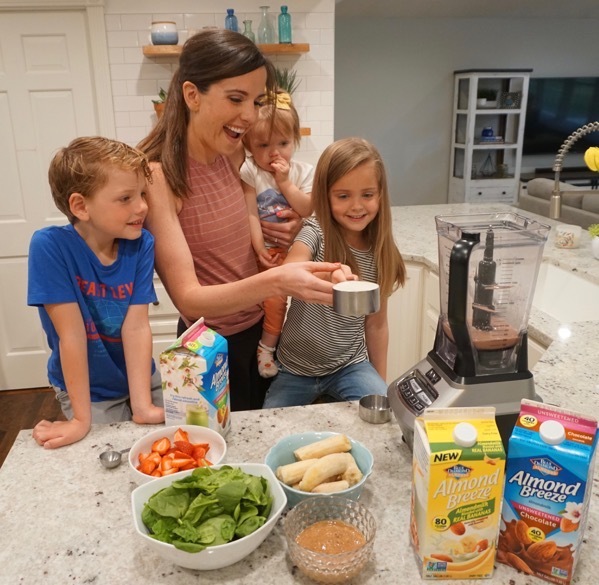 My favorite smoothie recipe in the dead of summer when I just need a refreshing pick me up is a frozen banana, cup or so of milk (almond or regular) and handful and a half of spinach. It’s light, sweet and so refreshing. I also love adding almond butter to it (like you did) but that makes it much heavier. I do that in the spring/fall when the weather is a bit cooler. Also, if you peel a few very ripe bananas and then freeze them, they will be perfect for smoothies when you want them and will be so sweet. Yes!! We do that too… we always have a huge container of them in the freezer at all times:) . I totally agree… it’s the best after a really hot summer run! I hope you have a beautiful day Elizabeth! I try to eat as soon as possible after a workout but with getting kids to school and stuff sometimes it’s a few hours after. Something I’m working on this training cycle. And not just eating but making sure what I’m eating isn’t just something quick but something that has what I need in it. YES…. 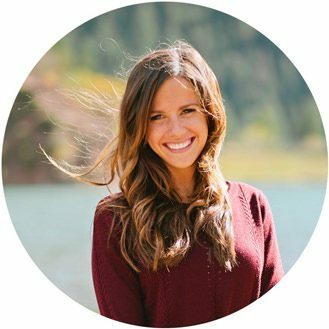 I am so excited you are doing that with this training cycle (I am so excited for you)… it can be so hard with kids but you’ve got this! Have a beautiful day Jenny (and we didn’t wake up to more snow this morning hallelujah! I could give lots of suggestions, many of which were already mentioned if it’s raining: bring extra shoes/socks, also a throwaway umbrella, garbage bags and an old race foil if you have it; consider wearing surgical (rubber) gloves over your regular gloves and put Vaseline everywhere. My biggest course takeaway is to not go out too fast! Don’t get caught up on the first half of downhills or your quads will be so trashed that Heartbreak will seem worse than it actually is. And turn off/down your music when you are in the massive cheer zones! Let those spectators pump you up, because they will! I’m bummed I didn’t make the cut-off for this year, but I just BQed with 12 minutes to spare for 2020 so I cannot wait to run Boston again! Good luck Janae! Enjoy every moment! I CANNOT WAIT to watch this video (as soon as I get the kids off to school) THANK YOU KIM! Good call on the throwaway umbrella and VASELINE! Yes yes yes… thank you so much Kim. HUGE CONGRATS on your recent marathon time, you rocked it and 2020 is going to have glorious weather. Thanks so much! I’ve run four Bostons, including the year of the bombing. Each year after has been such a celebration and tribute to humanity and the city. Enjoy every mile- even in the rain. It is just such a special experience. I really love the Scream Tunnel at Wellesley College- those ladies have some serious volume and some really great signs. Its right about the half way point, too, so its a pick me up for sure! Best wishes and ENJOY! SMILE! Four Bostons… that is amazing Maggie! Reading your goosebumps gave me the chills, I seriously cannot wait. THANKS! Boston!! My favorite race experience EVER. I would say my best advice it to not be afraid to make adjustments to your goal if the conditions are out of your comfort zone. When I ran it in 2016, my goal was 3:35, but it was already VERY warm at Athletes Village (had to take off all of my throwaway clothes as soon as I arrived!) And it just kept getting warmer. I was stressing over it. But very early on I decided to let go of my goal and just truly enjoy every second! I high fived everyone, got hosed down by spectators, danced and clapped, and finished 3:42. It is so much more important to HAVE FUN during this race b/c there is no other like it! As soon as I finish a race I eat something out of my goody bad, even though I am not hungry at all. Usually it’s chocolate milk, or a protein bar or banana. While I was in the med tent at Tokyo, I realized I hadn’t eaten for an hour after I finished and they had these little pb&j prepackaged sandwiches that turned out to be SO GOOD. I wanted more. Lol. Have a fantastic time in Boston, Janae! I’ll be rooting for you from San Diego! YES YES YES… best tip! I cannot even imagine running it one of those hot years, you are tough and I’m amazed you were so close to your goal in those conditions. Med tent in TOKYO?! WHAT??? Thank you so much Annemarie and I’m cheering for you! Oohh Boston brings back so many memories! Remember to have fun! You earned your spot there and above all it is a celebration. Do not go out too fast:) Start slow and trust me it is possible to negative split/even split the race. It is also possible to trash your legs early on by pounding the downhills. Running without music is great for this course. The crowds, the Wellsley girls are awesome. Bring an extra layer of clothes at the start including shoes and such so you will be warm and your race shoes dry. Also bring an extra brrakfast to eat on the bus. The time passes more quickly than you think..line up for the porta potties right away. If your family is meeting you, designate a spot because the finish lines are insane. Have fun at Boston and have a great day Janae! p.S. I cried at the finish line of Nyc marathon because it was my then pb and first BQ and it had been such a lot of hardwork and such an emotional journey to the start. I am so excited. Best tips ever Kristine, thank you so much! Reading your last line about the NYC Marathon finish for you gave me so many goosebumps. Have a beautiful day! Finish line crying is sort of a given if I’m doing a goal race. 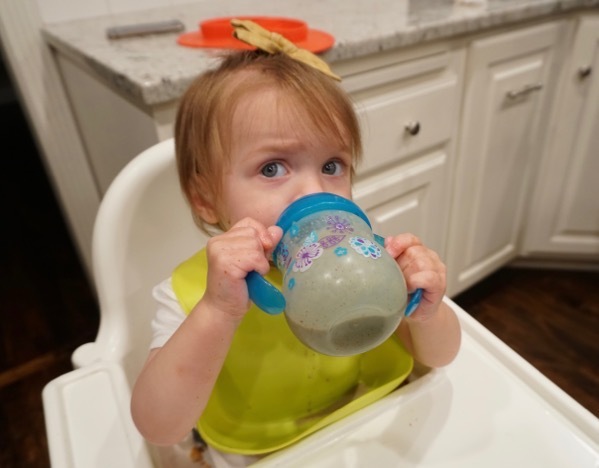 My daughter has been big into smoothies, lately, and hers looks almost identical to yours! I usually eat within an hour after working out–should probably bring something to eat on the way home, but I always forget. After running, I usually end up at home and eat something pretty quickly. So bummed I’m going to miss meeting you at Boston this year! 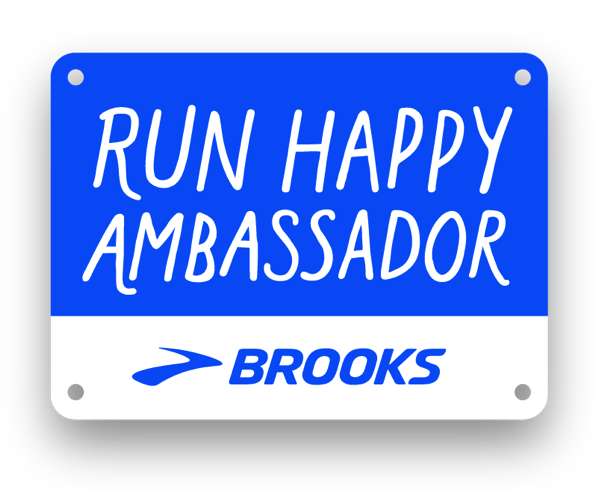 Have such a fun time and remember to run HAPPY! The bathroom lines are LONG in Athlete’s Village. Plan for at least a 30ish minute wait. Okay, I needed both of those tips and I was just writing about how I always go way farther in big marathons on tomorrow’s post ha. 27 miles wow! Thank you for sharing Annie and I better get to meet you some day. Have a great day! I used to run in the morning and basically wait to lunch to eat. I found my energy levels are much better later in the day if I do have something after, but I don’t actually physically feel that hungry and that is why I need to remind myself to eat. I cried the first time I ran a mile coming back after a 16 week injury. I am just like you… my energy levels tank if I don’t eat something after. Oh I bet that mile felt so so so so sweet. Have a wonderful day Erica! I’m sure I used to cry more than I can remember but the last time I full out sobbed was years ago after my first trail 30k. that was the first race I experienced a bonk, a wall, falling, my watch died, my music wasn’t working and just when things got really bad, my now brf, who I met for the first time in line at the porta potties, called my name and we finished the race together. I was so exhausted I sobbed like a baby in my car. I would drink smoothies more if I had a blender (thanks for the reminder to pick one up!! I do have protein powder w/ water as soon as I finish a workout and then I have overnight protein oats w/ chia seed jam about an hr or 2 later. Before I broke our magic bullet i mixed spinach w/ frozen mixed berries and a banana and we all loved it! My boys are very anti veggie (so sad!) so I have to sneak them in any way I can. I love that your kiddos seem to just gobble them right up! Okay, that 30k trail race sounded beyond hard… you are incredible. I forgot about the magic bullet… I used to use mine daily! They pick and choose the vegetables they want to eat (they will eat snap peas all day but show them an onion or cauliflower and they will RUN)! Have a great day and thanks for sharing Jenny! I’ll be cheering (like I do every year!) with my running club at the 30k mark! We have a big red tent and always hand out tons of runner-friendly goodies (twizzlers, orange slices, pretzels, sometimes swedish fish), so hit us up if you need a pick-me-up! AHHHH I will definitely be grabbing some candy from you:) . Thanks Catherine, see you soon! I cry at most of my races, ha. It’s an emotional experience. Smoothies are a summer staple at my house. I like using Vega protein, frozen bananas, spinach, and either pb or pb2 or frozen berries. Eating after a workout is so tough for me because A.) I run before work and I have to leave my house at 7:05 for work and I’m running around like a crazy person. B.) For my longer runs on the weekends when I have more time, my stomach is typically upset. Boo! Sometimes I can handle a 1/2 banana or so. As a coach, I recommend that all of my athletes try and eat within 30 minutes of completing their workout. Races really are so incredibly emotional… I feel every emotion possible. I still have never tried pb2… I need to! You have crazy mornings girl! Have a wonderful day Marissa! Random, but can you share where you got that striped tank? 😆Thanks!! A green smoothie first thing every morning is my secret weapon for staying healthy and glowing skin – plus it’s kind of addictive! Have THE best time in Boston! -Wear old throwaway sweats AND SHOES to the start; athletes village gets really muddy and there’s lots of puddles on the walk to the start. I had sweats, a poncho, old socks and 8 year old track shoes on until 10 minutes before I ran; kept my real socks and sneakers in a clear ziplock and security was totally fine with it. – Wear a waterPROOF- not just water resistant- jacket. -Vaseline+Water resistant gloves + glove warmers saved my hands! – If possible, have someone with dry shoes and possibly dry clothes/gear near the halfway point. I switched to dry shoes at Mile 13 and my feet felt light as air… until the next downpour. – Glide/Vaseline EVERYWHERE. My friends who skipped this chafed like crazy. – Boston is known for its crowds but the crowds get pretty sparse when the weather is bad, so for sure have headphones at the ready. I really leaned on my music when I got to heartbreak hill and there were very few brave souls left cheering after hours of rain/snow mix. GOOD LUCK!! I’m either going to be at Mile 13 or Mile 22! Good luck! Can’t wait to read all about it!!!! Good luck running Boston. Are you going to post your bib number so others can follow? I remember getting texts when I knew someone running Boston a couple years ago and since I work Monday, it’s always an excitement of my day. This is boring but I love putting a huge handful of spinach in my smoothies. You don’t even taste it and you get in an easy serving of veggies! Good luck, Janae!! 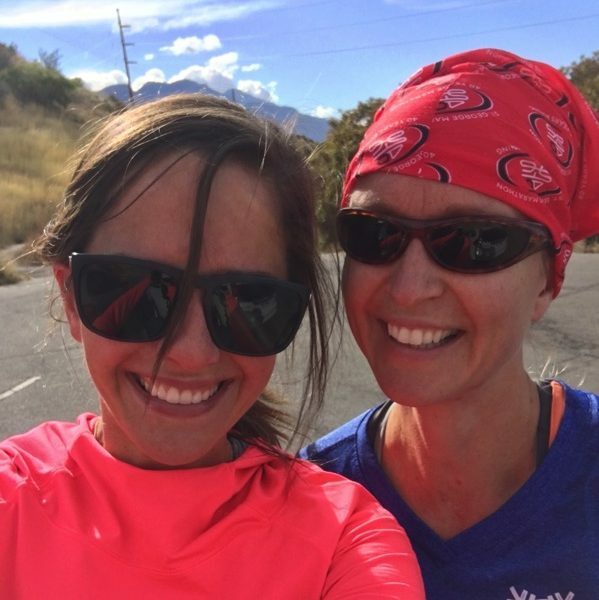 I will be there to cheer on my daughter, who is running her first marathon ever and we are so excited about it! She’s running for the American Liver Foundation. I hope it’s not too cold for you! First off, good luck on Monday. Second, I don’t know if I’ve ever cried when I’ve run a race but I ALWAYS tear up watching my son run his cross country races.